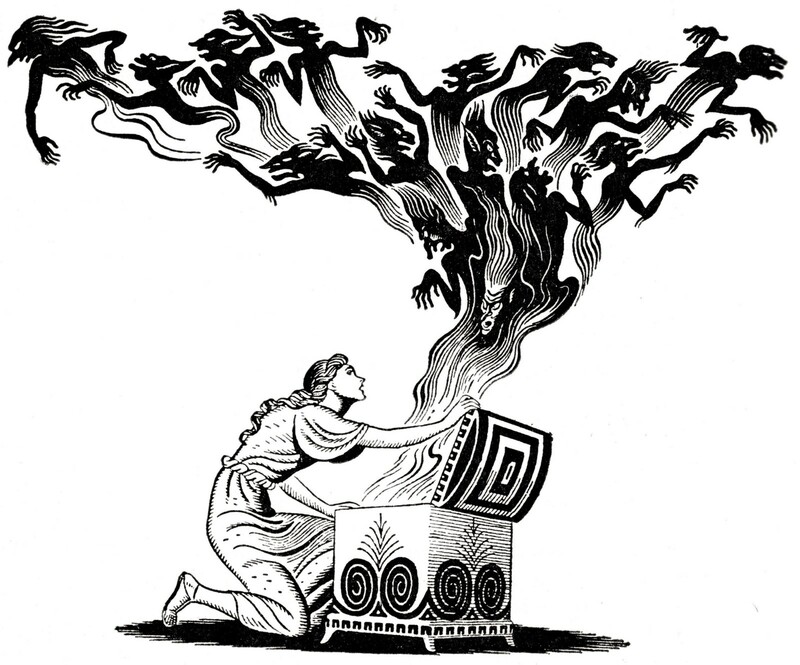 In myth, Pandora unleashed horrors, but held onto Hope. Let’s leap right into the fray: while the Mueller investigation has apparently exonerated Trump and his campaign officials of a conspiracy to collude with the Russian interference in our 2016 election, it proves beyond a shadow of a doubt that this interference happened, and that it was criminal in nature. Most of the 37 indictments and/or guilty pleas brought by the Mueller team were issued against Russian nationals or companies. We’ll never know to what exact extent Trump’s presence in the White House is due to that interference, but we do have evidence that the election was seriously compromised. The fact that we can’t prove the exact weight of that criminal influence, however, means that we’ve been living through a non-violent coup—by the Russians, if not the Trump campaign—and it ain’t over yet. Despite the veritable Pandora's Box of horrors we've undergone in the past two years, however, hope remains that we'll get this figured out in time. Needless to say, there are lots of nagging questions left hanging by Attorney General William Barr's scant summary of Mueller's report. For instance, we still don’t know why so many Trump campaign officials, family members, aides and participants lied about meetings with Russians when questioned—if everything was above board and hunky-dory, why bother? Trump's claiming "complete and total exoneration" way too prematurely. Were these lies just about Trump’s business dealings with Russia before the election, as came out in the case of Michael Cohen? If so, why were people like then-Senator Jeff Sessions caught up in so many lies that he had to recuse himself from the Mueller investigation as Attorney General? For that matter, why did Trump himself refuse to sit down with Robert Mueller because his lawyers feared that their client would get himself into a perjury trap? We know former National Security Secretary Michael Flynn and former Campaign CEO Paul Manafort both had business dealings at stake in Russia and Ukraine, but when those got entangled with their political roles, rather than be above board and honest, both responded by lying and obfuscating. Have these two—along with former Trump lawyer/fixer, Michael Cohen—simply ended up being the “fall guys” for Trump when it comes to the Russians? Or were they simply criminals in sheep’s clothing who Trump just “happened” to bring into his life and his campaign? 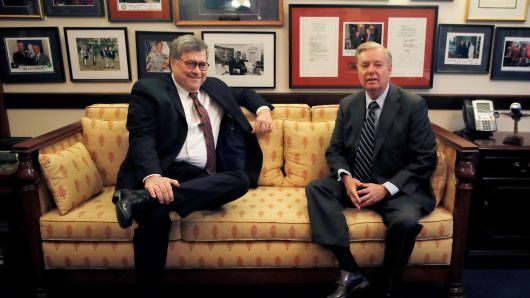 In light of Cohen’s testimony before the House Oversight Committee this past month, it’s hard to swallow that Trump had no connection with what these guys were doing, but until we get the full Mueller report from Barr, we’re not going to really know why his team was unable to decisively make those connections. On another note, why did the issue of Russia turning over “dirt” on Hillary Clinton keep coming up, over and over, involving players like George Papadopoulos—who was clearly trying to impress Trump (Trump called him a “coffee boy”)—Roger Stone, Jerome Corsi, Wikileaks’ Julian Assange, Donald Trump, Jr. and Jared Kushner, among others? Does the very real damage that was done to Clinton have no value in our legal system? Or is there no such thing as campaign integrity any longer, and we should just get over thinking there should be? 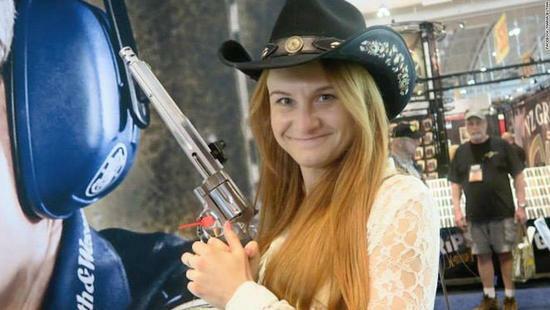 Maria Butina has pled guilty to being a Russian spy, exploiting the NRA. And what about all the stories that surfaced in the past two years about campaign funding irregularities and suspected problems with illegal foreign contributions channeled through various American players? Even the NRA got into this particular drama by getting entangled with Russian spy Maria Butina, who in December 2018 pled guilty to conspiring against the U.S. as a Russian foreign agent during the 2016 election. Do we know how much of the $30 million the NRA reportedly contributed to Trump for that election was channeled into the election through Butina and/or her Russian handlers? Or other Russians (there were many at Trump’s inaugural)? This, unfortunately, is just the tip of the iceberg for such questions: if we put a dollar value on all the oppositional research and negative Hillary stories that the Russians “donated” to the Trump campaign via social media, where would this issue be? IMHO, on these and so many other questions—especially concerning the “sleight-of-hand” way in which the question of Trump’s obstruction of justice was settled, if it is—the only solution is for the Mueller report to be fully and publicly disclosed. 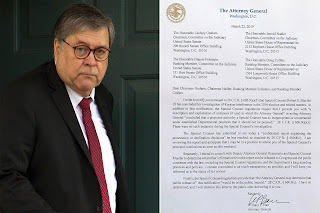 Attorney General Barr with 4-page summary he submitted to Congress. So it’s not surprising that Barr weighed in on possible obstruction of justice by Trump the way he did. His 4-page summary memo cites the lack of an “underlying crime” as barring an obstruction of justice charge, as well, when in fact, that view contradicts Watergate’s historical precedent. In other words, the obstruction issue is far from settled, and if the precedent holds up, it will be settled in Congress—not by the Attorney General appointed by Trump—as it should be. So, despite the over-the-top White House and GOP claims being made of “complete and total exoneration,” the investigations in Congress will go on. The full Mueller report needs to be made available, complete with all its evidence and back-up, despite Mitch McConnell’s attempt to block that happening in the Senate. If everything and everyone is so innocent, what’s he so worried about? Wouldn’t it be better to have the facts in the open so people can rest easy that they at least know the facts? I can’t think of a better result from this 2-year investigation than for all of us to be able to trust that our government’s system of checks and balances works once again! On the other hand, anyone with an astrological perspective knows that you don’t release an important report with Mercury retrograde! The fact that this was done, and that Barr rushed to offer his summary without even taking time to thoroughly review the entire report, says that the haste was purposeful. On that note, let’s take a look at a chart for the release of his 4-page summary letter, which was reportedly first “read out” to a White House lawyer at 3 pm. It was subsequently delivered to select members of Congress just around 3:30 pm on Sunday, and it began to hit the airwaves soon after. Once we’ve done this, we’ll consider that chart next to Trump’s nativity and a noon chart for Barr’s birth, with information provided by Wikipedia. Chart #1: Barr letter re Mueller investigation (read out), March 24, 2019, 3:00 p.m. DST, Washington, D.C. Tropical Equal Houses, True Node. Sun conjoins Chiron-Part of Fortune (Aries) and semi-sextiles Uranus (Taurus); Moon (Scorpio) inconjoins Eris (Aries) and semi-sextiles Pallas (Rx, Libra). The 30- and 150-degree aspects here point to the many frustrations inherent in this letter’s release. It’s emotionally wrenching and discordant to many (Moon-Eris), and as we’ve seen in the past couple days, it provides the pretext for vicious recrimination to others. 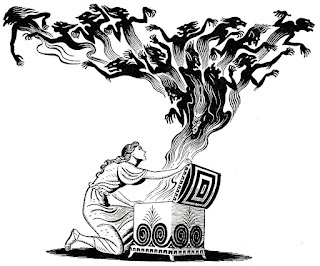 Our “wounded” leader (Sun-Chiron) came out crowing over his good fortune (Part of Fortune), and last I heard, the White House doesn’t even intend to review the full Mueller report—apparently the two “talking points” that Barr skimmed off the surface for them are all they want to hear. Mercury (Rx, Pisces) exactly conjoins Neptune (Pisces); these sextile Saturn (Capricorn) and widely trine Moon (Scorpio). Needless to say, this Mercury Rx-Neptune conjunction casts some doubt on the credibility of Barr’s summary conclusions, and with Mercury retrograde, revisions will likely be necessary. This summary was far from a “final” say on the matter, although it was emotionally satisfying to some (trines to Moon). The sextile with Saturn allowed an opening for the Justice Department to act. Interestingly, Jupiter (Sagittarius) also widely squares Mercury Rx-Neptune as it trines Eris—this left an opening for Trump to strike out belligerently with what he feels is righteous anger, demanding apologies from the media, demanding that those investigating him most vocally be silenced, etc. As we’ll see ahead, all of this ties into the power centers in his natal chart and “unleashes” him to act with even less restraint than usual. T-Square: Moon opposes Mars (Taurus) across 4-10 axis; this axis squares 7th house Venus (Aquarius). This tense, fixed configuration draws in and emboldens Trump’s natal Mars-ASC in Leo (inner wheel, Triwheel #1 below). It would be difficult to plan for a better cosmic pressure cooker for Trump’s purposes: it gives him the opportunity to lash out at perceived enemies, to act on long-time grudges and to re-establish his dominance. In all fairness, he’s been under a tremendous amount of pressure lately, but that’s not likely to let up anytime soon (more on that when we look at his chart with all this). For the moment, however, he’s feeling supported and emboldened, with Jupiter conjoining his natal Moon (Sagittarius). · The 5th house relates to the so-called “Old Boy’s network” way of doing things—it conjures up pictures of local politicians hashing out deals around a table at the local watering hole. Jupiter’s presence in this house suggests that a powerful “old boy” has weighed in to help Trump. Barr? Others? · The 6th house points to workers, labor organizations, public servants and military personnel (veterans, too)—all groups that wield great influence and without which no society can function; here’s where we find Saturn-Pluto-So. Node (Capricorn), suggesting that the Justice apparatus of our government (among other institutions, with their many, many “worker bees”) is working over time—more on that below. 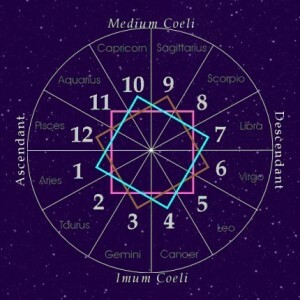 · The 7th house relates to both allies and enemies, and it evokes that Machiavellian advice to “hold your friends close and your enemies closer;” in the case of Barr’s actions, it’s interesting that Venus (Aquarius) falls here. This investigation has revealed unique alliances even if it couldn’t prove actual collusion. 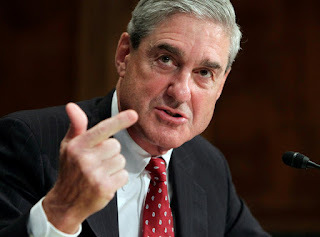 In fact, Russia weighed in approvingly regarding Mueller’s and Barr’s findings, despite the fact that Mueller’s report does not exonerate them. Even so, they’re acting (again) as though Trump’s success is their own! · The 8th house covers—at its best—dynamics that unite people around common needs and values, which not surprisingly, often happens through major tests of character, crisis and strife. Depending upon how a nation’s resources are handled and distributed (i.e., in a balanced, rather than a radically unequal fashion), the economy (a 2nd-8th house concern) unites and divides people, and that becomes political very quickly. Investigations would be covered by this house, as well, but as we’ve been learning this past two years, getting at the truth can be a double-edged Scorpionic sword, to say the least. At its worst, this house covers the often shady ways in which influence is wielded through psychological manipulation, big money, deception and even violence and oppression, and it accounts for why political networks decay and corrupt over time. Megalomania can be cultivated in this house, and such individuals are rarely “indicted” by normal judicial procedures: they tend to over reach in their hubris and eventually bring themselves down. The myth of Medusa seems appropriate here: her potency only grew when her head was severed by Perseus, who used it as a weapon for his own exploits. · The 9th house points to the forces that drive cultures and societies to grow, evolve, and to reach beyond themselves. 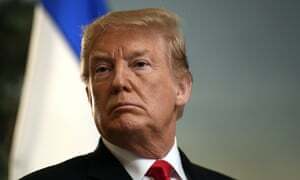 There’s a larger context at stake in the summary Barr released—Trump has mapped out foreign and trade policies that many experts feel are dangerous and reckless, and certainly fly in the face of America’s traditional leadership role in the western world. Clearly, a network of foreign influence is at work here that resonates with Trump’s presence in the White House, and we shouldn’t be naïve about how that works. A few of the authoritarians Trump has spoken highly of. Trump gravitates towards foreign leaders with whom he resonates (and possibly with whom he has done business), and they’re not our traditional allies. Saudi Arabia, Russia, Turkey, the Philippines, Brazil, North Korea and Kazakhstan come to mind, and what they all have in common is a certain breed of authoritarian leaders. So, the obvious importance of the western hemisphere houses in this chart suggests that Barr didn’t just deliver a straightforward letter to certain members of Congress and to the media on March 24th; what he delivered was a Pandora’s Box of influence that is powerfully enabling Trump’s approach to American politics at this time. Notice the crowded 8th house, ruled by Neptune residing in that house and cozying up with Mercury Rx, which I would take to represent the contents of Barr’s summary. It’s quite possible that his letter will be revisited and perhaps even revised, but will the overwhelming Neptunian dynamics in play drown out any and all resistance to Barr’s hasty outcome? That may depend upon what comes next. What comes next is another power center in this chart—the 6th house of working individuals and public servants—which Capricorn Saturn rules and inhabits, within 3+degrees of Pluto-So. Node. Significantly, the degrees Saturn and Pluto are transiting these days are fraught with difficulty because they’re both within orb of Pluto’s own south node (see here for an October 2017 post here on this topic), so the integrity of our government, not to mention our democracy, is navigating a very heavy crossroads. That’s why the work our public servants in Congress are doing to push back against the Neptunian corruption of the 8th house “swamp” in this chart is all important. Bringing truth to light—whether it implicates or exonerates the powers-that-be—is key. William Barr's obfuscation was on display in his Senate confirmation hearings. That’s why accepting Barr’s summary as the whole story simply doesn’t work. As many feared he would, he’s using his authority to obfuscate and do an end run around Congressional authority to judge obstruction of justice cases. It will be interesting to see how long he’ll drag out the process of releasing the full Mueller report to Congressional committees, using “national security” as his pretext? Whether he’s chosen to lend cover to the administration is immaterial—Barr’s overstepping his bounds, basically ignoring precedent to suit himself, and this may not wash with Saturn-Pluto. Aside from the obvious fit for Saturn and Pluto when it comes to “obstruction of justice,” Saturn-Pluto’s mantra might as well be that “no one is above the law,” even though justice can be a long time coming. Bottom line, the more we collectively enable corruption, the more we forfeit our chance to rebuild as a new, better society once the Saturn-Pluto cycle dust settles in the coming years. “We the People” are represented by the Pluto-disposed Scorpio Moon in this chart: we have a choice between passively and cynically accepting corruption, and doing the hard work associated with detoxifying and renewing our system for better days. At this point, let’s take a very cursory look at how the natal charts of Trump and Barr interact with Chart #1 above. We’ll dwell mostly on broad areas of resonance between the charts, to keep things short. Triwheel#1: (inner wheel) Donald J. Trump, June 14, 1946, 10:54 a.m. DST, Jamaica, NY ; (middle wheel) William Barr, May 23, 1950, 12:00 p.m. DST (noon chart, no time available), New York, NY; (outer wheel) Barr Letter re Mueller Report, March 24, 2019, 3:00 p.m. DST, Washington, DC. Tropical Equal Houses, True Node. Grand Cross in mid-Cardinal signs: Transiting Eris (Aries), Nodal Axis (Cancer-Capricorn), Pallas (Rx, Libra) and Saturn-Pluto-So. Node (Capricorn) are triggering important points in both Trump’s (Saturn-Venus, Cancer) and Barr’s (Venus in Aries and Neptune in Libra) charts, raising questions about what Barr is willing to do to please others (Venus-opposite-Neptune), especially when nudged by his fighter instincts (Eris transiting his Venus). Pallas poses the question, “what needs to happen in the interest of justice?”—it’s significant that this point squares Trump Saturn-Venus at the same time Transiting Saturn-Pluto opposes those points. Despite all the victory laps being run in the past few days by Trump and company, the legal pressure and demands for justice are far from relieved. Trump will continue to feel embattled because Saturn and Pluto aren’t going to move anywhere very quickly. It would actually be very good news for the country if we could trust Barr’s judgment in these matters, but he’s acting a bit too much like the “lapdog” some have feared he would be for Trump. We can’t help but be torn, even so: it would be better to not have a suspected criminal for a president, wouldn’t it? But the way Barr went about his big “reveal” didn’t do us any service, Trump’s apparent difficulty telling the truth doesn’t help any, and we need to know the whole truth. Grand Cross in mid-Mutable signs: Trump’s Gemini-Sagittarius gathering (Sun-No. Node-Uranus opposite Moon-So. Node) seems to be the lightning rod that magnetizes many others to him, and Barr is no exception. His Virgo Saturn-Juno-Mars conjunction squares (the square involving his Saturn is very wide) Trump’s Gemini-Sagittarius axis, putting him essentially “in service” to Trump (this Mars disposes Barr’s Aries Venus, as well) and completing the picture here is transiting Pisces Neptune-Mercury Rx, perhaps obfuscating or misrepresenting what that “service” is all about. Hence the “lapdog” suspicions. Besides, Trump’s own attitude about the Justice Department is troublesome, to say the least. We know from things he’s said out loud about former Attorney General Jeff Sessions that Trump expects “his” Attorney General to protect him, and to be loyal to him above all else, which is not what the Founders envisioned. The Justice Department was set up to be under the purview of the Executive branch, but to operate as independently from it as possible. Trump’s not into nuances or power-sharing like that, however—either he’s in charge or he isn’t—and it’s also unclear whether Trump cares what the Founders envisioned. Pre-confirmation, Barr claimed he would "let the Mueller investigation finish." So the jury is out on the potential pitfalls of Barr’s relationship with Trump; astrologically, there are reasons to wonder, especially with the heavy Neptunian influence we see here. Barr’s Juno-Mars (Virgo) also trine Transiting Saturn-Pluto, so he may be attempting a balancing act that “serves two masters,” fulfilling his duties in the Justice Department and keeping Trump satisfied. But he may not, as well, and this could be difficult to figure out. Notice that Transiting Jupiter (Sagittarius) is stimulating this mutable configuration as well, and as mentioned above, it’s giving Trump an emotional lift, conjunct his Moon. So, whether Barr intended his summary letter to receive the blowback response it has (Jupiter is also transiting quincunx the transiting No. Node), he made haste to hand Trump an emotional “gift,” and that says something about how he sees his role. Perhaps yesterday’s surprise move towards a Justice Department take-down of the Affordable Care Act only reinforces all this. Grand Cross in Fixed Signs: Trump’s Mars-ASC in Leo dominates aspects involving the fixed axes, of course, and his history with “reality TV” demonstrates that he knows how to play his domineering personality for effect. So it was inevitable that his authoritarian tendencies would clash with the business of governing in a democracy where power is shared and derives (ideally) from the People (his Mars opposes Sibly Moon, chart not shown—“We the People”). We’ve seen a heightening of this tension since the Democrats now lead the House and are not holding back from challenging his agenda or exposing his potential legal vulnerabilities. Here, however, we’re focused on how the energies of March 24th (Barr’s letter) allowed an opening for Trump to impose his influence—if not directly, then through the man apparently acting as his “Roy Cohn” intermediary, Barr. In that regard, it’s interesting that Barr has only one key point in a fixed sign—Mercury in Taurus, but if we look a bit closer, we see that his Sun/Mercury (midpoint) falls at 25°+Taurus, conjunct Trump MC (Taurus). This suggests that Barr may be offering up his services to Trump in not just legal matters, but in ways to communicate those matters, as well. 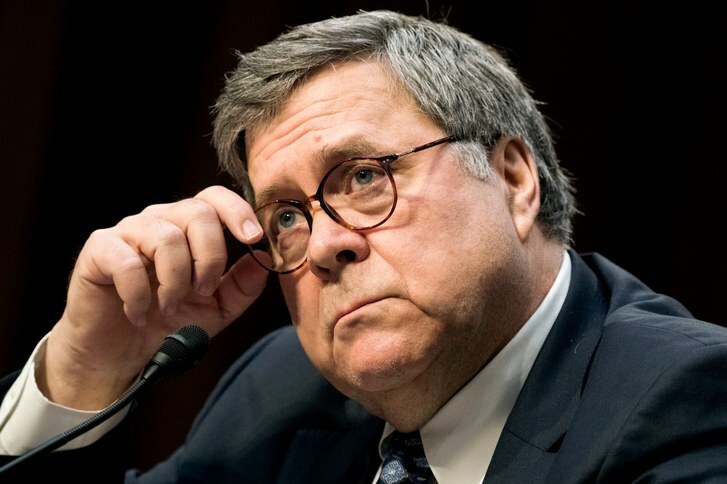 Recall that Barr “auditioned” for the Attorney General position just months before being nominated by issuing an unsolicited memo regarding his doubts that a sitting president could, by virtue of his position, be guilty of obstructing justice. To a very real extent, Barr was offering talking points to the Trump defense team, and it’s hard to imagine that he’s changed his stripes since then, despite claiming otherwise in his confirmation hearings. At the very least, he and Trump see eye to eye on matters concerning Trump’s career (MC). This, of course, may run into some conflict with Trump over other issues: Barr’s Mercury squares Trump’s Mars-ASC. (Remember, we’re looking at a noon chart for Barr, so the MC that conjoins his Mercury can’t be considered here). Never fear, March 24th was a good day for Barr to prove whose “side” he’s on: Transiting Venus (Aquarius) opposed Trump Mars-ASC and this axis was squared by Barr Mercury conjunct Transiting Mars (Taurus) opposite Transiting Moon (Scorpio). Whether anything was overtly stated to the effect or not, this fixed pressure cooker of a configuration suggests that Barr was caught up in a “loyalty test” with Trump: his intense Leo Mars ego needs were looking for adulation, victory and vengeance (Aquarius Venus-square-Scorpio Moon), and Barr was in the right mindset (Mercury) to deliver. Special Counsel, Robert Mueller III. We’re going through an awful lot as a nation right now, and the challenges are far from over. Trump and company are ignoring the reality of what Barr conveyed in his letter, much less what might actually be contained in the full Mueller report—that Trump is not exonerated of obstruction of justice. To add insult to illusion, in fact, they’re now trying to blame Obama for the Russian interference in our election, which blatantly contradicts the facts. That release, in turn, was overshadowed in the media by a massive Wikileaks dump of emails our Intelligence community feels certain were hacked by Russians, from the Democratic National Committee and from Hillary Clinton’s campaign manager, John Podesta. Apparently, this documented history and other facts about how Obama interacted with Putin during that time elude the GOP under Trump. So what else is new in these twisted, Neptunian times? But let’s end on a hopeful note: several Congressional committees are demanding access to the full, un-redacted Mueller report, and one way or another, they will get more than they presently have. That won’t do much to improve the tone in D.C., of course—we’re on the threshold of a new presidential campaign, even before the abnormalities and scandals regarding the last one are convincingly settled. But we can choose how to focus our attention going forward—if we want the next election to be about positive changes for the nation, now’s the time to get on it! That’s what I’ll be doing here, too!